RNB Global University (RNBGU), set in the hinter heartlands of the royal city of Bikaner, stands as a shining edifice of quality education in a vast clean and green fully Wi-Fi enabled campus.The campus acts as a perfect backdrop for your pursuit of quality education.. Description : ITM Universityis a multidisciplinary university known for its quality of research and teaching across the academic spectrum, with subjects spanning the sciences, engineering, management, fine arts, social sciences, arts, nursing etc. It has been at the forefront of learning, teaching and research and.. 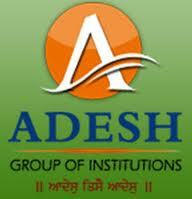 Description : Adesh Group started its’ journey in the field of professional education and health care with establishment of its first venture Adesh Hospital & Research Centre (P) Ltd., Muktsar in 1991. With time, it has emerged as a 300-bedded referral hospital having 30 specialist & superspecialist medical professionals,.. 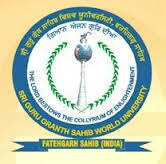 Description : Sri Guru Granth Sahib World University, Fatehgarh Sahib has been set up to commemorate the historic event of the 400th anniversary of the compilation and first installation of holy Sri Guru Granth Granth Sahib, Located at Fatehgarh Sahib, a place sanctified by the unique martyrdom of the younger sahibzadas.. Description : Ahmedabad University (AU) was established in July 2009. It is promoted by Ahmedabad Education Society (AES), a Society established in 1935 which is one of the best education societies in western India. It is a self-financed, non-affiliating State Private University established under Section 3(1) of the.. 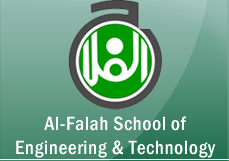 Description : Al-Falah School of Engineering & Technology (AFSET) established in 1997 is endeavor of Al-Falah Charitable Trust in keeping with the approach for professional education training and guidance. The emphasis is on nurturing technical talent by providing need based education and to create a resource pool.. Description : Founded in 2008, JV is vibrant, research led Women University having perfect & safe environment to live and study. Having Topclass Academic Environment, JV provides an ideal foundation for your personal and professional development. The Jayoti Vidyapeeth Women's University, Jaipur has been established.. Description : Sri Sai University is established with the objective for professional and technical value-based education as State Private University vide Act No.3 of 2011 of State Legislature of Himachal Pradesh. It has been notified by the U.G.C. under Section 22 of the UGC Act 1956 and empowered to award degrees..